Has it really been two weeks since my last post? And is it really only one week until Christmas? Time flies when your attention is split between about half a dozen things–and that’s on a slow day! 2. The new WIP is coming along well–or at least the first three chapters have. The fourth chapter is proving a bit more recalcitrant, probably because of the sheer number of characters making their entrance in that one. Christmas house parties–what are ya gonna do? 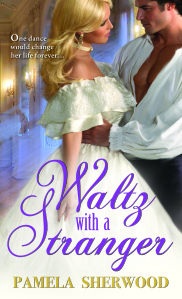 On the up side, I’ve always enjoyed reading and always wanted to write a Christmas-set romance, so I’m determined to enjoy myself with this one. And I hope to be able to share a few more details when the story is more advanced. 3. Talking of Christmas, I’ve been keeping my ears open while shopping and making a mental note of which songs get the most frequent airplay–just for the fun of it. And it’s a good coping mechanism when the versions being played make you want to grind your teeth and smash the stereo system. So far, the front runners for Most Overplayed Seasonal Song are “Chestnuts Roasting on an Open Fire” (no surprise there), “Let It Snow,” and “Last Christmas,” the Wham! original and Taylor Swift’s cover. (Although none of them have annoyed me quite as much as a shrill, speeded-up, overly perky rendition of “Up on the House-Top”–seemingly sung by adults who wanted to sound like little kids–to which I was subjected one afternoon in Macy’s.) 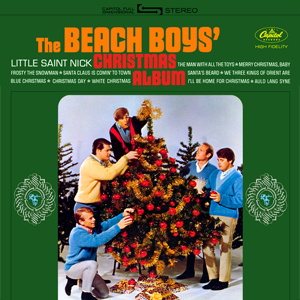 I count myself fortunate not to have heard “The Little Drummer Boy” more than once this year, and I almost cheered when the music programmer at the local mall showed a spark of originality and played the Beach Boys’ “Little Saint Nick” over the speakers this morning. Now that’s a fun Christmas song! 4. Christmas decorations are going up all around my neighborhood, which is something I always enjoy seeing. We may not get much snow here in SoCal, but our winter nights can still be dark and cold, and the sight of colored lights shining in the gloom is a visual tonic. Halloween decorations amuse me with their cleverness, but Christmas decorations touch me with their optimism, innocence, and warmth. A few years ago, animatronic reindeer were all the rage, grazing on suburban lawns and raising and swiveling their antlered heads. 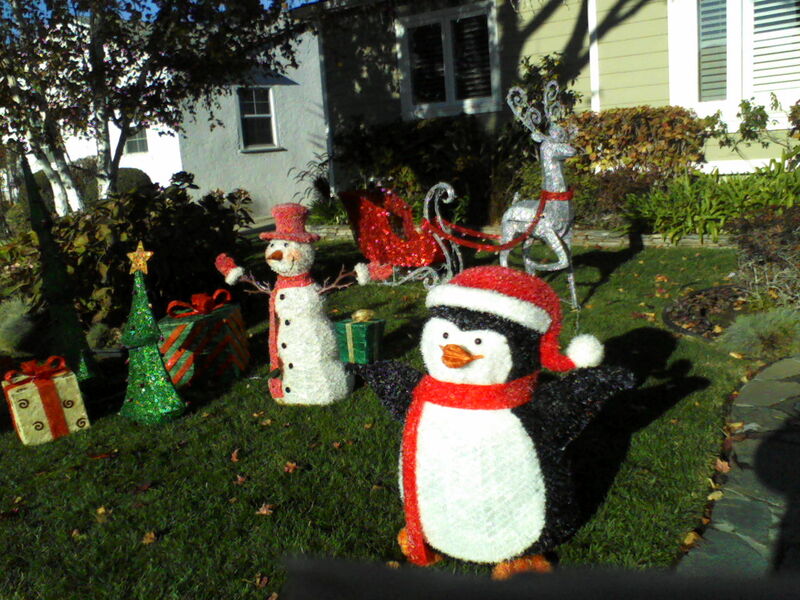 This year, glow-in-the-dark snowmen appear to be the fashion, with penguins, reindeer, and–to my surprise–pigs not far behind. 5. 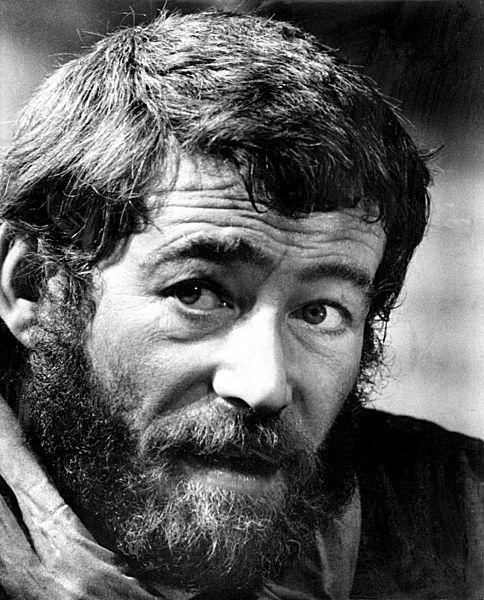 Saddened to learn of the passing of Peter O’Toole. Oddly enough, I’ve never seen all of Lawrence of Arabia, the film that made him a major star. But he bowled me over as Henry II in The Lion in Winter–a fully bearded, full-blooded alpha male, and every inch a king. He was only 36 at the time, and playing a man of 50. His co-star, Katharine Hepburn, was more than 20 years his senior, but they matched like hand in glove–or a set of dueling pistols. I love that movie with an unholy passion: there’s not a weak link in the cast–from the feuding king and queen to their three contentious sons–and it never fails to make me appreciate my own family more! (However fraught your own holidays may get, be grateful that you’re not stuck in a snowbound French castle with any of these people!) In honor of O’Toole, I’ve been listening to the marvelous Oscar-Winning soundtrack of The Lion in Winter, which sent chills up my spine from the opening credits. Given the demands of the season and the wonderful tyranny of my shiny new WIP, I’ll be a somewhat erratic online presence for the rest of December. But I wish everyone the most delightful of holidays, whichever you celebrate, and a very happy New Year! And to you as well, Lilian!